So How is grouping now? Do we still have to complete the objectives twice to complete a quest or is it shared when we both have the same quest? Do we still get forced out of phase because the game decided that a part of a quest can't accomodate a group or because we did it already we just cant hang arount to help a friend? How are dungeons? Did they get a little more original? Not a show stopper for us but how is PvP? Do we still have to ride 10 minutes to get back in battle or are there closer respawn points like we had in Warhammer for instance? And finally, How RP going? Yeah, I was turned off by that when the game released as well. It was one of the reasons I didn't stay past my first free month. Since then, grouping is a lot easier. You can group as level 10 and level 50 and both be fairly effective. Basically, levelling gives you more options, a slight edge on damage output and the like, but its not like a level 10 and 50 running around together in other games. You can also quest in any zone you'd like, more or less... the regular mobs don't have levels, they're challenging for you regardless of level. I think there are a few quests that still require you to get separate items, but they're few and far between. When I've noticed them, it hasn't been all that difficult to gather more. There are some regions that change after you complete a quest... like, you go in, run out the badguys and win the day... someone who hasn't completed that quest will still see bad guys and won't see you, so that's still there. Dungeons got a full-on revamp at some point... there are some similarities still, but they're not the same map over and over again like they were before. The 'central' PvP Zone is still pretty huge, but once you're in the zone, you can travel between towns/castles that your faction holds. With the Morrowind Expansion, there are battlegrounds, but I haven't tried them out yet. And I'm having a blast with the RP :D Come check things out! Could we still join Invicta and participate in some RP if we dont have Morrowind yet? Absolutely. I've barely touched Morrowind's quests and haven't done a BG yet. I've still lots of stuff in the base game I'm trying to finish :) And the main places we RP aren't on the island that comes with the Morrowind expansion. Awesome. There is a good chance we'll give it a try. And about Race / Faction. And about Race / Faction. Where does Invicta stands?Do we need to be on a particular side? Would a Nord and a Dunmehr fit in? Would it limit our ability to participate in guild rp and events ? Our faction will be ooc tho. IC We don't care we're pirates! Faction only really matters in PvP. 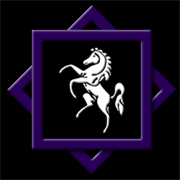 Invicta is a Mercenary Company as, as such, is officially neutral in the war, so its open to all races and factions. So Nord and Dunmer won't limit your ability to participate in guild RP and Events. If folks are still loyal to a particular faction, they have the IC right to decline any contract that may bring them into conflict with their faction/race. We'll give it a try for a couple of weeks and if we have fun we'll get on touch to get into the guild just to make sure that if we join it's for quite awhile.